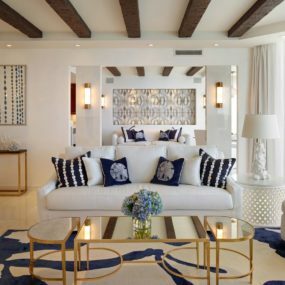 Patterns can be quite intimidating to incorporate in a space; however, when done correctly they can make a room come to life effortlessly. 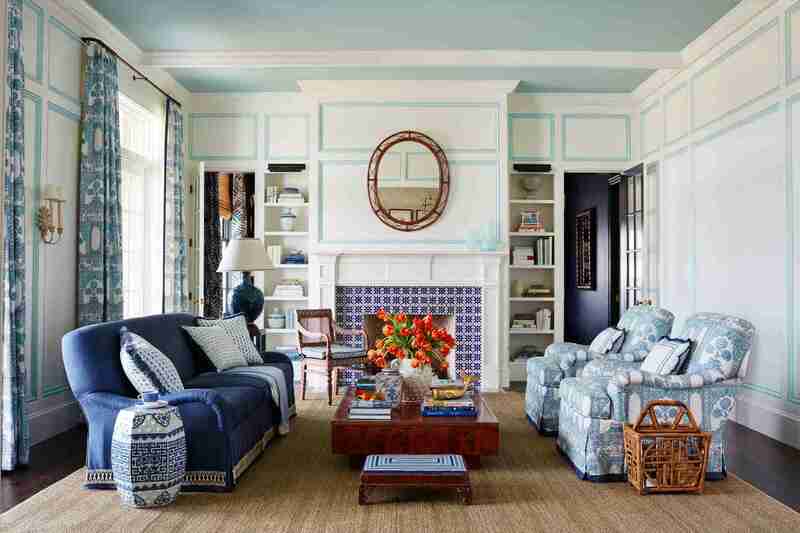 With a little insider knowledge, you can begin incorporating layers of patterns like a pro. The key is understanding the basic rules of decorating with a pattern, once you do the magic will begin. 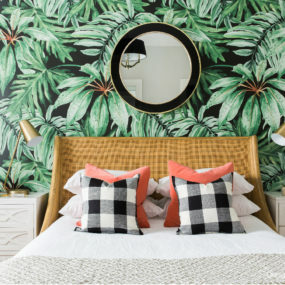 We have put together the rules you should know to effortlessly mix prints in your home, to help you along the way. Whether you want to use one pattern or two, the key is always having basic hues paired in. Having the basics allow your room to look cohesive while having the best of both worlds at once. The first rule to always keep in mind is to remember the basics. 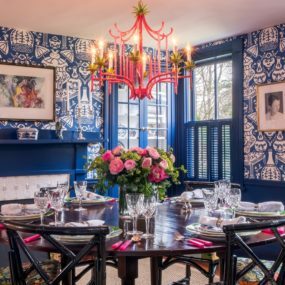 Every time you incorporate a pattern into a room you want to have solid colors from the color wheel. The solid hues center the patterns while allowing them to make their very own statement. Without the solid colors, you would simply have an array of patterns without any distinction. Geometric pattern is one of our favorites because of how well it works with multiple different colors, particularly monochromatic bits. 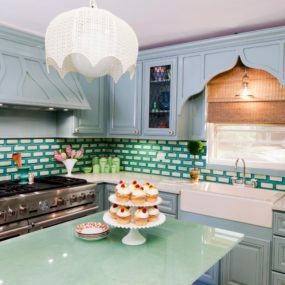 Pair with hits of color for a beautiful contrast, you may even want to add hues as well to further push the beauty that geometric patterns bring. Do not be afraid of geometric patterns. 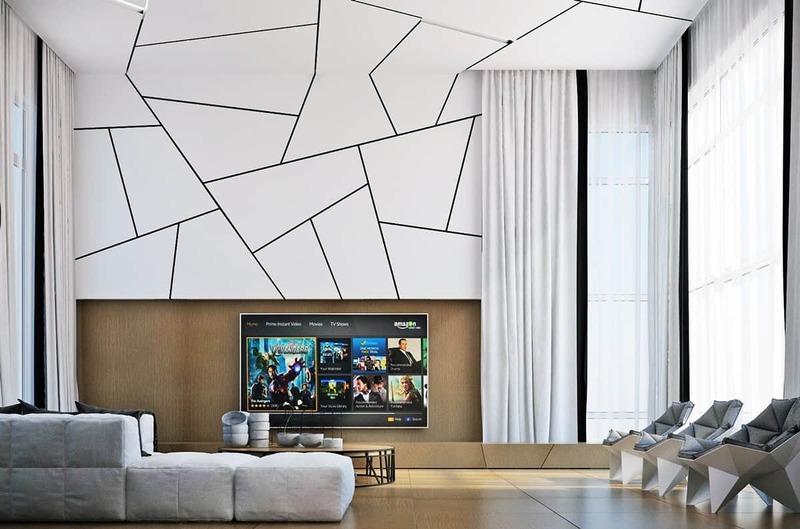 Although they can be intimidating, geometric patterns give a monochromatic color palette a boost. They brighten the simplicity of any area in the home including smaller spaces. The larger than life print gives a monochromatic space the ability to come back to life. Take one hue and expand on it by adding patterns in similar colors. 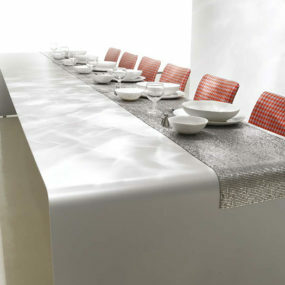 Doing so brings a cohesive appeal that is seamless and beautiful. 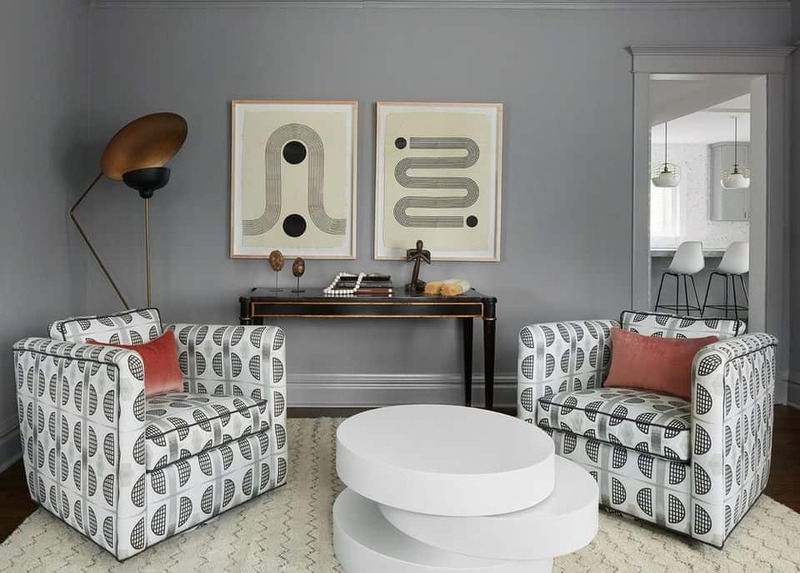 We love the idea of having one color bring the space together with patterned and non-patterned bits. We love the appeal of a unified look; however, in order to have the seamless uniform appeal, you want to add patterns in similar hues. 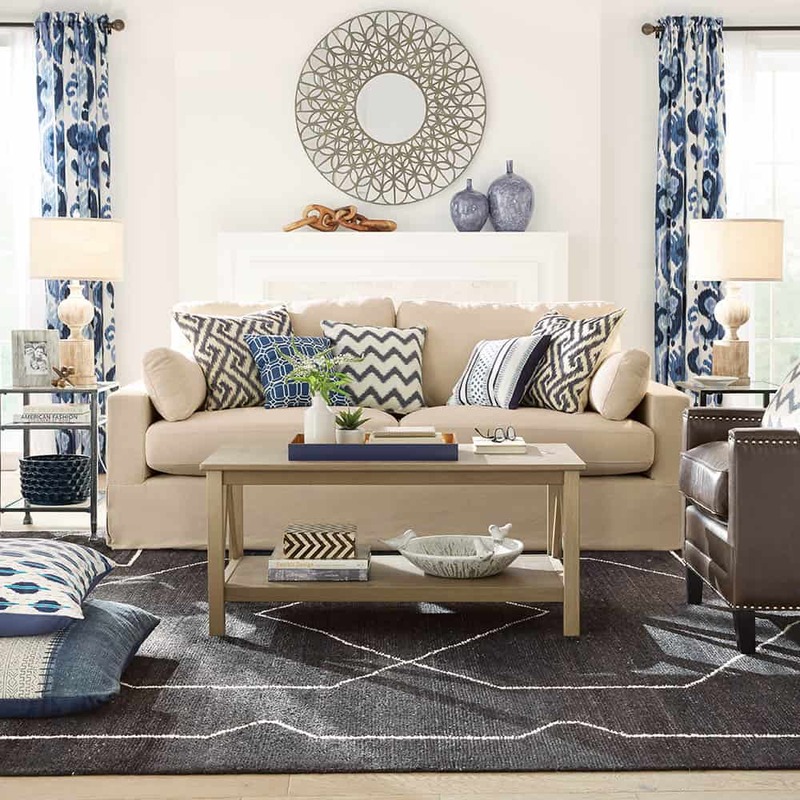 You can pair multiple different patterns or styles but ensure to keep the same color scheme throughout the room. If you are thinking about one specific pattern idea, we recommend sticking to that one pattern instead of incorporating multiple ones. Doing so will allow that pattern to be the main focus. Meanwhile, keep the rest of the room with simple colors and basic lines. 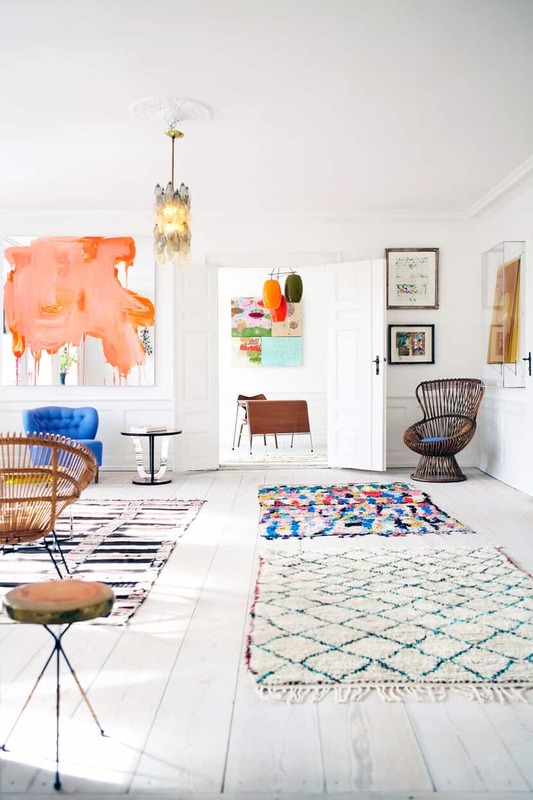 Even if you have multiple patterns in the room already, you want your biggest pattern to be your rug. It will bring it together while still making the daring statement it is intended to make. Pair with similar colors to bring the entire space to life. One rule of thumb to remember is: your largest pattern should typically be used as part of your flooring. Covering your floor with a large pattern works well with added accent pillows that have either a similar color or a similar pattern. Having this will bring a seamless togetherness to the area. Choose a color that brightens your living space yet brings a bold pattern along with it. Pair the rest of your furniture to cordinate your wallpaper. This will bring a cohesive appeal that makes perfect sense in the space. 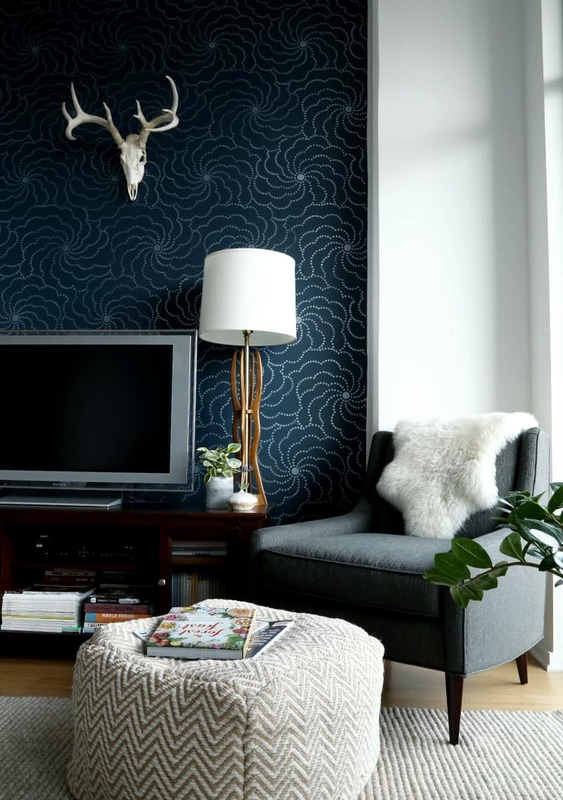 This is really no better way to bring pattern to an area then to add a bold wallpaper. It brings the space back to life while adding that stark wallpaper element. Whether you use a colorful wallpaper, or you decide to use a monotone option, it will make the same impact regardless. Take a dark, edgy wallpaper and go wild! 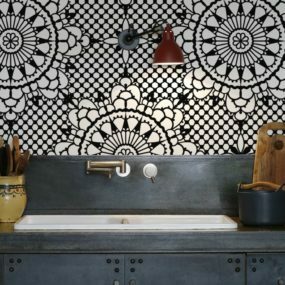 We love the idea of an entire wall covered in a dark patterned wallpaper and allowing that to make the main statement. Pair with additional neutral patterns to make that daring contrast between the two. Just because you are using pattern does not mean you can’t incorporate prints. The key is working with patterns that come in dark, rich hues and pairing them with other colors that are similar. 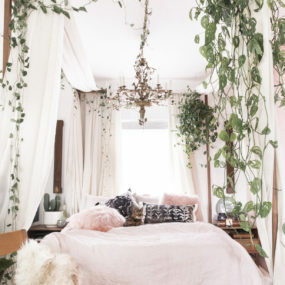 Having this feature will add an edgy feel to the room while still being feminine and classic. If you want to combine multiple patterns in one single area of your home, consider your open floor plan space. Open floor plans are just that open spaces that bring air into a room. 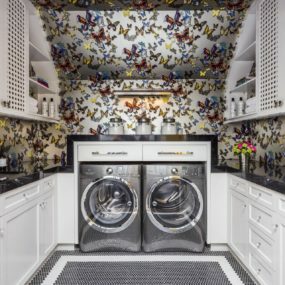 Adding pattern to these areas brings versatility and fun in a unique kind of way. 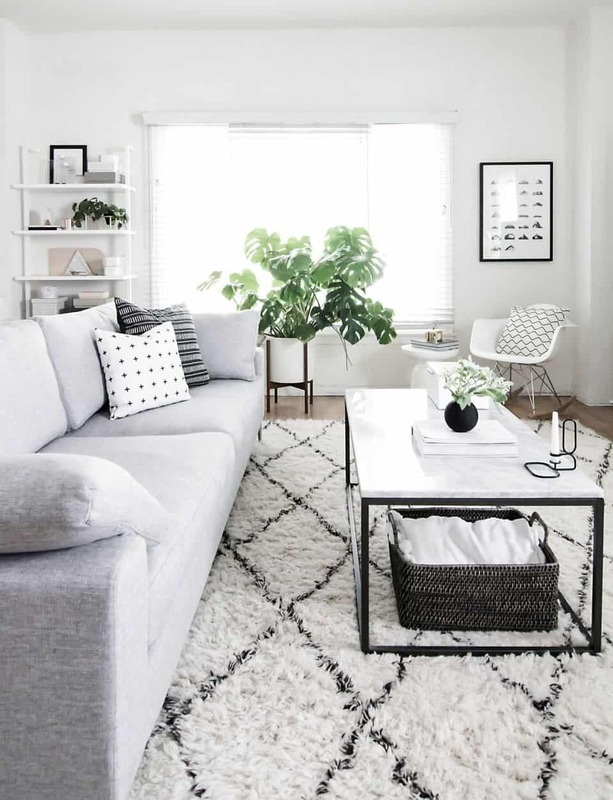 If you happen to love pattern as much as we do, you might want to combine multiple different patterns together to create a solid beautiful space. Keep them simple, yet keep them bright, doing so bring a cohesive look even if you include numerous different patterns. Do no limit yourself to 2-3 patterns consider adding 5 or more. 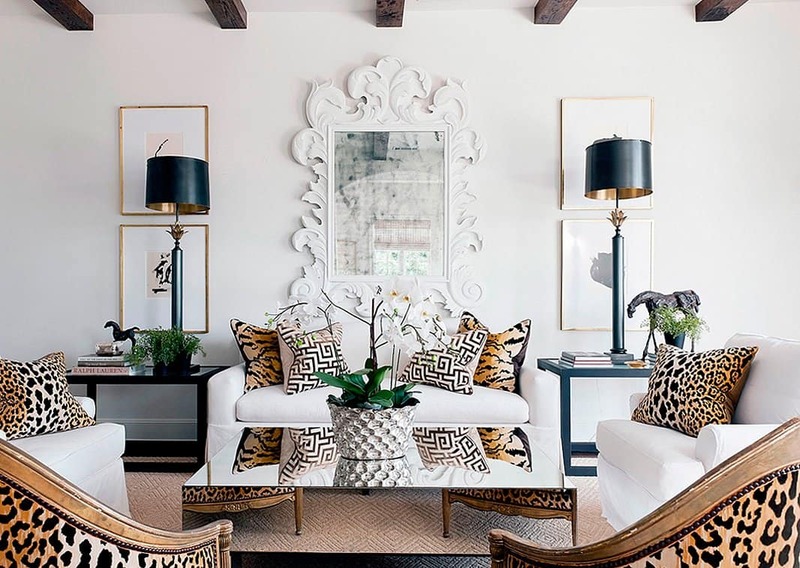 Patterned pillows are heaven on earth for interior decor. You can swop them for different ones, you can remove them, you can even multiple how many you have. Pair with neutrals to bring beauty into the space. Patterned pillows add an easy way to incorporate pattern into a space that may seem like it doesn’t exactly need it. 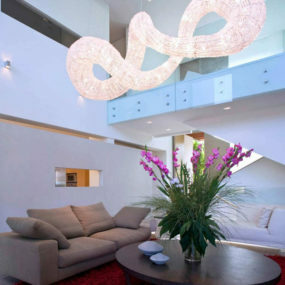 Pair with simple hues or even other simple patterns for that minimalist appeal that makes absolute sense in the room. There is something fun and quirky yet whimsical about having a polka dot pattern as part of the main focus. Pair with other patterns to bring that cohesive appeal that still allows your polka dot element to be front and center. When in doubt go for a polka dot pattern. Polka dots bring a whimsical feel exactly where you need it. 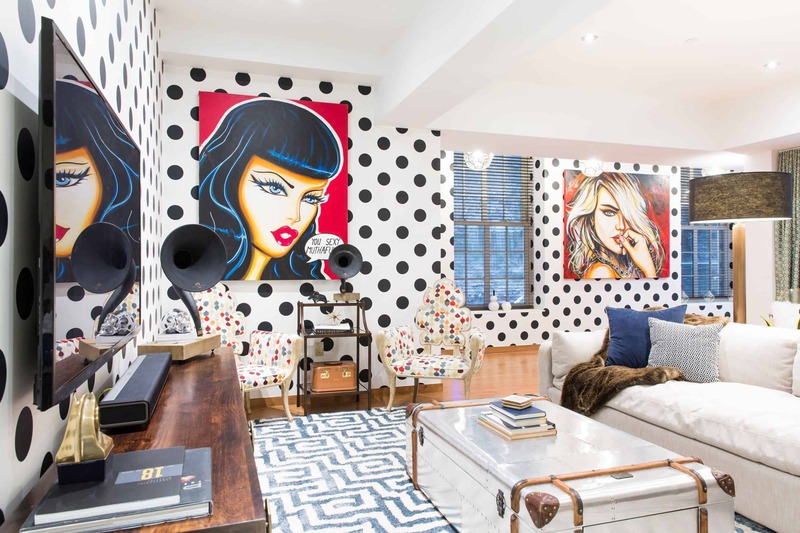 We love the idea of having a polka dot pattern consume the entire room to help it take up most of the space and become the main focus of the room. Do you love pattern as much as we do? If so, share with us below how you pair your different pattern styles together to create a charming space.